Pancreatic Cancer Action relies solely on donations to run and receives no government funding. There are many ways your company can give back to help save lives through early diagnosis. Companies all over the world recognise the benefits of creating a culture of giving back. Increased employee engagement and greater brand recognition and awareness creates a more desirable business. 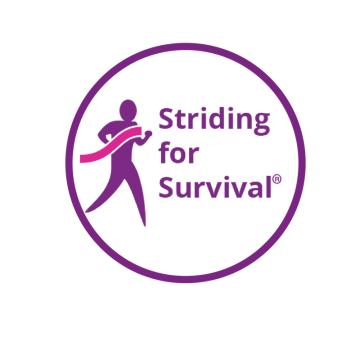 Our annual Striding of Survival event is getting bigger and better each year and we are now looking to partner with a business as a charity sponsor to make the event even more spectacular! By sponsoring a Pancreatic Cancer Action fundraising event you can show your existing customers and clients -and the wider public – your company’s dedication to helping Pancreatic Cancer Action. One of the easiest ways through their salary to Pancreatic Cancer Action. Through payroll giving, employees can donate tax free. Employers take the deduction from the pay each month before PAYE tax, giving the donor tax relief. So a donation of £5 to Pancreatic Cancer Action only costs your employee £4 if they pay the basic rate of tax and just £3 if they are a higher rate tax payer. Find out more about Payroll Giving here. There are lots of opportunities for you to donate your goods and services to Pancreatic Cancer Action whether it be for an event, materials or help within our office. Click here to see how our current partners support us. We welcome corporate donations of all sizes to support the work we do and will recognise this accordingly.